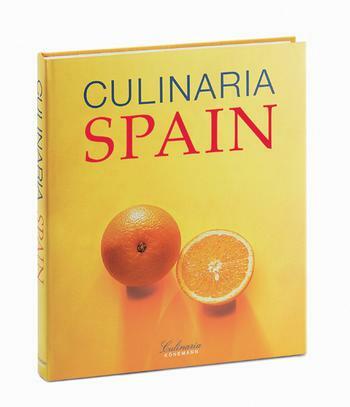 Anyone who knows me knows that one of my favorite series of cookbooks is the astounding Culinaria series, published by a German company, Könemann. These books are brilliantly photographed, large format cookbooks. They are big, heavy and beautiful, with a wealth of recipes. Most of them deal with the culinary traditions of individual countries and each book is usually split into provincial or regional chapters. I've received them over the years as gifts and have searched them out or stumbled across them in various places. At this point, I have the following Culinarias: A 2 volume European Specialties, France, Germany, Italy, Spain, Caribbean, USA and Southeast Asian Specialties. The Lady just found and ordered Greece for me, and we're still searching for a reasonably priced copy of Hungary. Which leaves the mystery. And the mystery is this: A number of years ago on Amazon, we noticed that two more volumes were to be published, India and Britannia & Eire. Well, the publishing dates came and went. No books. We let it go. That was back in '02 & '03. Today, I got a wild hare to go searching for Culinarias. The Lady and I found Greece; no problem. Very reasonable price from Abebooks. But I wanted to find about those two mystery books. There were ISBN numbers for them, but no record of them anywhere. I found some signs of life on Amazon UK for the Britannia book, but nothing else. They didn't seem to exist anywhere, even used. Very strange. I couldn't find a website for Könemann, the publishers. Eventually, I did, and I've sent them an email asking after the missing books. If I get an answer, I'll update this post. In the meantime, however, you should really try to find the available books. They're out of print, so you'll have to go the used route, for the most part. Most of them can still be found through Cooking.com. If you go for the European Specialties, be sure to get the double volume in the slipcase. It's a "compilation" of all the other European editions. I highly recommend these books to the serious cook who is interested in foodways. 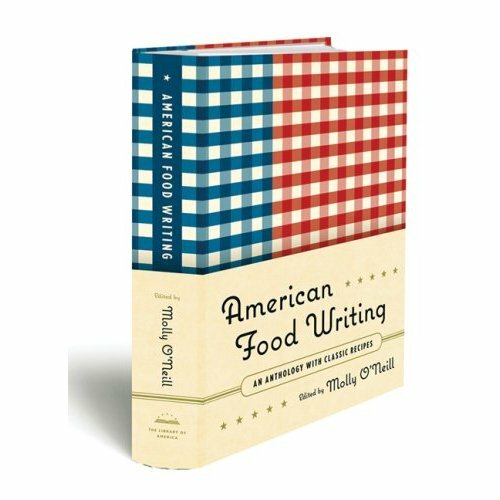 The fantastic recipes are enhanced by the accompanying text on everything from food culture to viticulture. Plus, they just plain look cool. One of the reasons I continue to love cooking, despite getting pounded into fleshy pulp in restaurant kitchens on a regular basis, is that I'm always able to find something new and beautiful about cooking on a near-daily basis. In this respect, cooking can and should resemble the improvisational aspect of Jazz. Finding new ways to do old classics is what keeps it real for me. Even down to the simplest dish; if I can find a way to do a twist or turn on it, I usually will. Doing this, however, requires that you don't lock yourself into recipes. My successes in the kitchen have never hinged on what ingredients a recipe called for, but rather on my own flexibility in dealing with what I had on hand. Instead of letting a particular array of ingredients dampen your spirits and style, allow it to kindle your awareness of what could be. I guess if there is any secret to my cooking, it's that I always seek out new possibilities. Oh, how I wish I had written that paragraph above! That short paragraph pretty much encompasses my whole philosophy of cooking. It was, thankfully, written in the early 80's by James Haller in the introduction to Another Blue Strawberry: More Brilliant Cooking Without Recipes. This was the follow-up to The Blue Strawberry Cookbook: Cooking (Brilliantly) Without Recipes (which is still in print. Get one. Now.). My first Chef, David Parker gave me a used, beat up old copy of Another Blue Strawberry when he moved off to some misadventure in the Virgin Islands, and I'll thank him forever for it. These two books engage a philosophy that will always stick with me: Never follow the rules! I've followed this philosophy so diligently for so many years that I am now completely incapable of following a recipe without tweaking it somehow in order to make it mine. That's if I'm using a recipe at all. When I look at recipes, I'm looking at suggestions as to how to go about preparing food, not engaging in religious dogma. This probably explains why I love such things as gumbos and chilis and assorted stews. The possibilities are infinite. This can get a little frustrating for people who ask me for recipes, because I'm very free with recipes. Except that I don't actually have a recipe for a lot of the dishes I do. So, when a guest first asked me how I did my Vidalia Onion Bisque, I had to sit down and try to figure it out and write a recipe. Once the recipe was written, though, it was pretty much obsolete. When I look at that recipe on the computer, I just sort of go, "Hmmm. Is that how I was doing it six years ago?" Another important thing that Haller stresses is the importance of talking about food and cooking. Always talk about what you're eating and why you like or dislike it. That's how cooks learn; through instructional criticism. Always ask yourself, "What would I do differently next time." When I visit with our friends Carrie and Paul, I love going through their cookbooks because of the notes they've left in the margins. What did they think of the dish? What did they do to twist it? What might they do in the future. Very cool. If you are an adventurous soul when it comes to cooking (you know who you are! ), you should really get these two books by whatever means necessary. The books stress concept over recipe, ratios over dogmatic rigidity. I guarantee you'll never use a recipe for a cheesecake again if you follow Haller's method. I've earned a reputation over the years as being a good cooking teacher to the point that a few chef friends have hung the nickname "Yoda" on me. That's because you don't find the best recipes in books. You find them in yourself. Of course, that doesn't stop me from having a collection of hundreds of cookbooks. Oh, and when I post a recipe here at Chef Mojo, think to yourself, "What would I do differently."